As we are getting closer to New Year celebrations, we cannot and must not ignore the trend toward a touch of gold. Gold is a color that speaks for itself. Not much needs to be said about its aura and its contribution to creating an impression or statement. The only proviso, of which you are probably already aware, is the need to use it in moderation. Less is more goes the saying, and when it is gold we are talking about, that is definitely true. 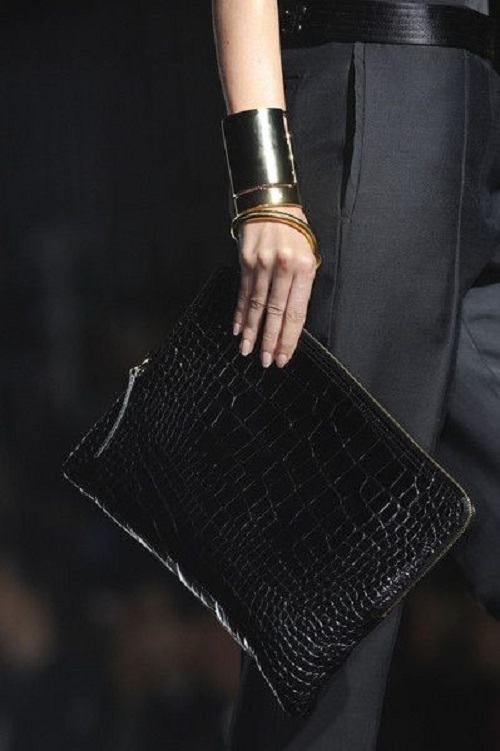 By less I don’t mean keep it restricted to jewelry or a clutch bag but rather that one statement piece could be enough. A goldish skirt OR pants OR jacket OR strapless top OR clutch bag OR a statement cuff bracelet is enough to upgrade a casual combination to one which is not only chic and elegant but also exudes the personal touch you are looking for. 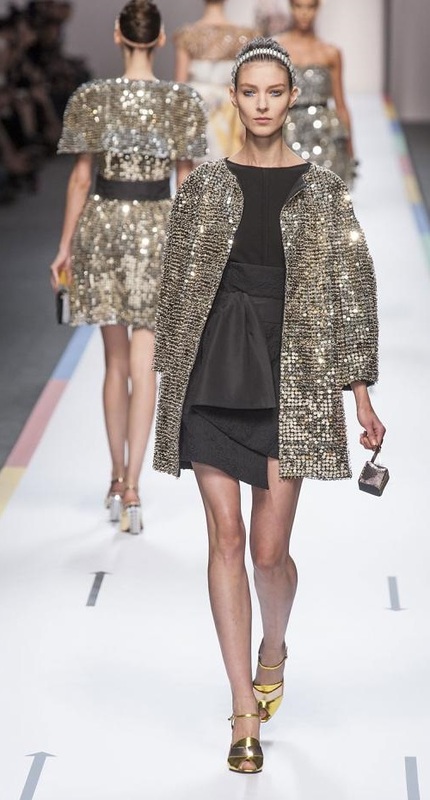 Be your own judge as to the full gold combination, mainly seen below in the fashion shows. It can easily turn into the kind of look that is reserved for a super dressy occasion. If it is just a festive appearance you are looking for, then take your pick of that extra touch that best suits your personality, your natural attributes and the occasion itself. 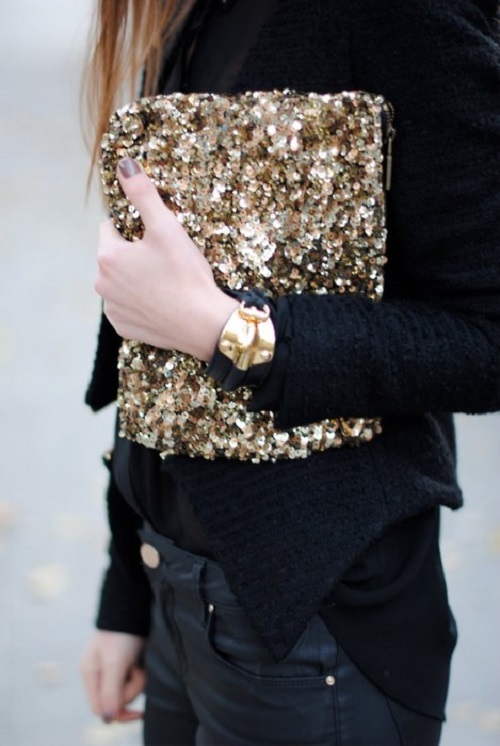 For more ideas with a touch of gold, visit my Pinterest Fashion Posts Board.